Last week, the spring season started in my home. 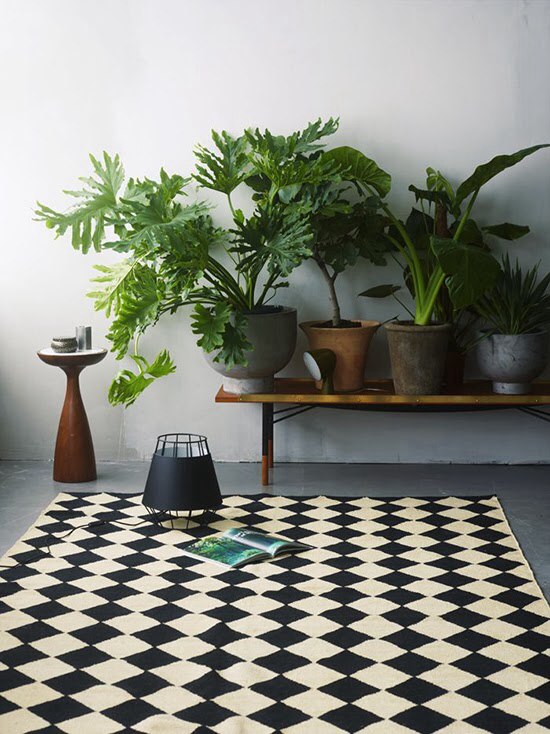 After three grey and gloomy months, I really need natural green at home now. Indoor plants revive my interior decoration. One big trend are the plant benches. Look at the wonderful ways to create a green oasis. 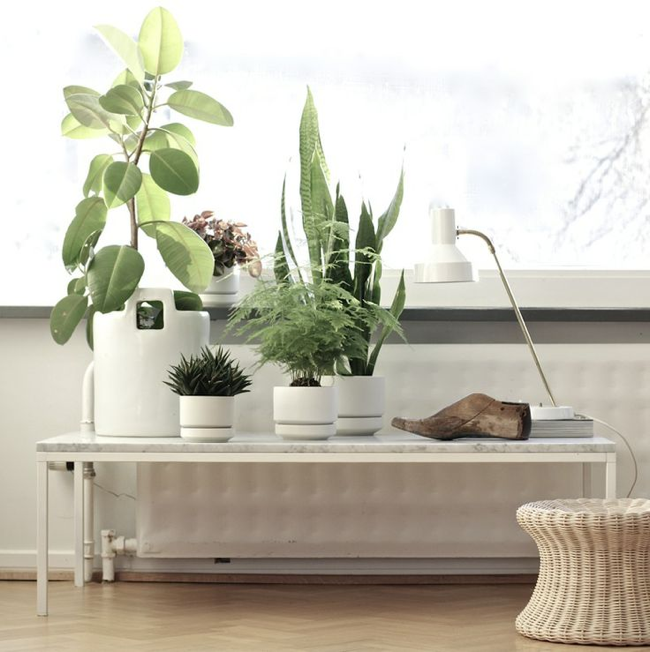 Make your home a green one with plants! It doesn’t matter if the trees outside don’t have any leaves when a mixed green jungle grows in front of your window. Here some potted plants in the hall. 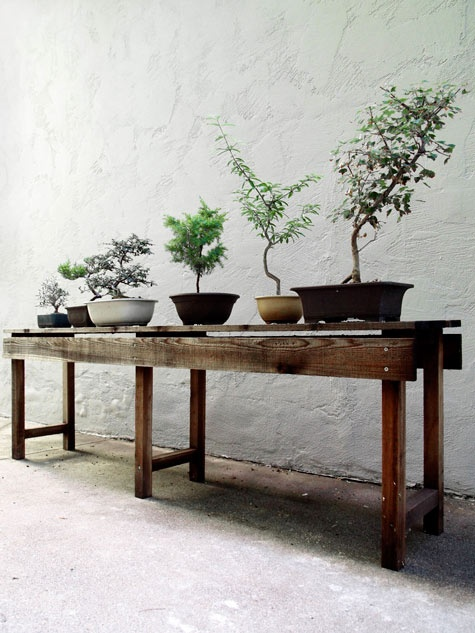 Create a Zen-inspired wooden console table with bonsai trees. 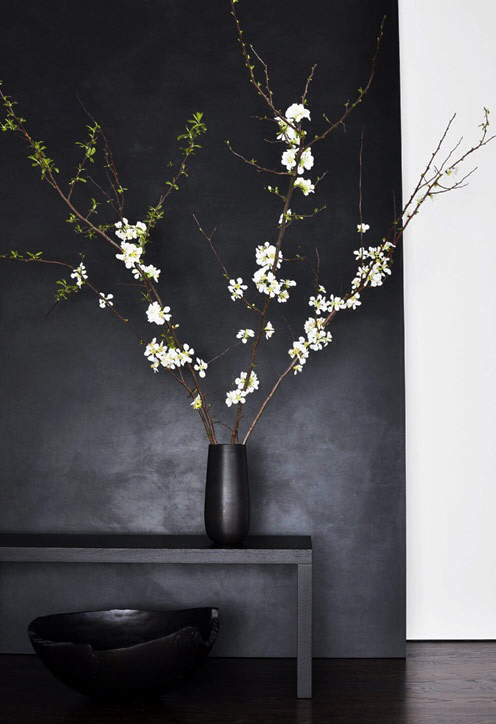 And more Zen inspiration with branches in a vase, looks like Sakura cherry blossoms.